Should you wish to link to our site or swap links, please submit that request to our webmaster for review. Upon approval a link will be sent to you for upload to your site. 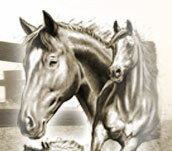 Premium horses of color and performance.